"Into The Dawn" Part 6 of 6. Script by J.M. DeMatteis. Pencils and Inks by Sal Buscema. Cover by Sal Buscema. It's the dramatic conclusion to the Child Within storyline! 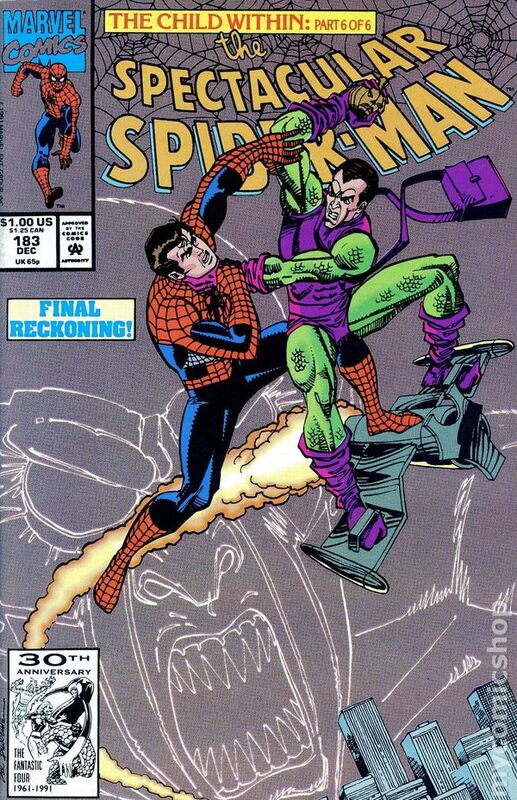 A ferocious three-way battle awaits: The Amazing Spider-Man vs. the Green Goblin vs. Vermin! Who will be the first to fall? And who will be the last man standing? An emotional ending! 32 pages Cover price $1.00.